Modern rope access applications include inspections, surveys, maintenance, electrical and metal work on wind turbines, towers, industrial plants, as well as some cutting and heavy material handling, with the right equipment and training. Working at height is a risky business, with 50 deaths a year from falls, according to HSE data. These fatal falls are usually from roofs, scaffolding or from access equipment. Whereas, fully-trained rope access technicians have an exceptional safety record. Rope access does have its limitations, of course, but for inspections and surveys facility operators are discovering cost savings of over fifty percent compared to scaffolding or using mobile elevating work platforms (MEWPs). Work at Height Regulations 2005 (WAHR). Along with the relevant guidelines within PUWER, RIDDOR and PPE legislation. Outside of those laws, there has been little in the way of formal guidelines, either in the UK, US or Canada. The HSE has conducted investigations into the use of PPE. 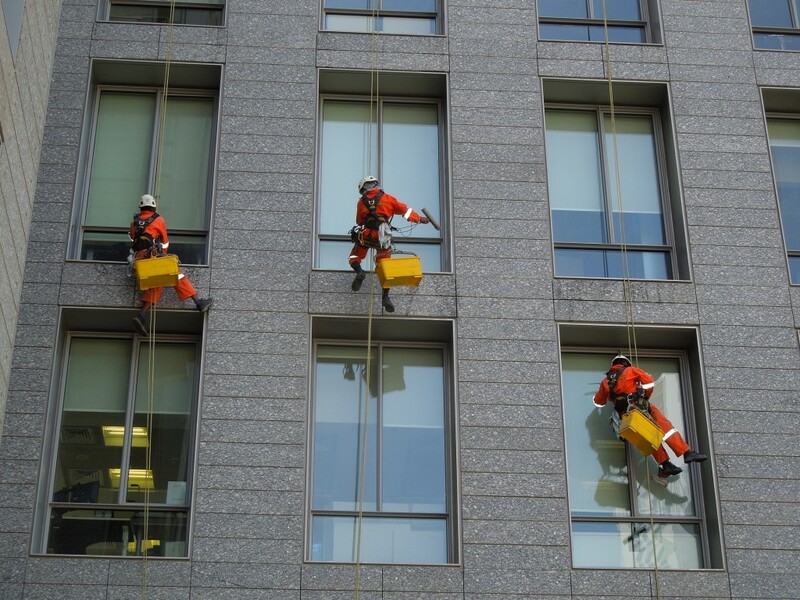 In the US, the Occupational Safety and Health Administration (OSHA) has produced interpretation letters, and state legislators in New York, California and Alberta, Canada, have created specific laws around rope access; but nothing exists on a national level. Despite the lack of formal rules – outside of pre-existing regulations – rope access professionals have organisations that manage safety, training and accreditation. In the US, the Society of Professional Rope Access Technicians (SPRAT) has created the Safe Practices for Rope Access Work and Certification Requirements for Rope Access Work. In the UK, the Industrial Rope Access Trade Association (IRATA) has designed similar training courses and accreditation schemes. Both IRATA and SPRAT have published guidelines, which serve as useful starting points, but then it’s the responsibility of organisations that work with or employ rope technicians to write access procedures. These should integrate with on-site safety management systems. Companies that regularly use specialist technicians would benefit from appointing a Rope Access Program Manager, to implement and update procedures as needed. Training is a continuous process for rope access technicians. This is one reason for their exceptional safety record. IRATA and SPRAT have a list of training providers they recommend, with candidates expected to have 32 – 40 hours of training before each evaluation stage. There are also written exams and practical experience in the field included in evaluations. Level 1 (authorised): Can work under supervision and should be competent enough to inspect safety systems and equipment. Level 2 (Lead technicians): Have extensive, documented work experience, can rig more complex systems and perform numerous rescue techniques. Level 3 (Safety supervisors): Can confidently manage a job safely, and have the experience to train, rescue and perform rope access management roles. The lives of rope technicians are in the hands of the equipment they use. Equipment managers are responsible for maintenance and testing, with each piece given a unique identifier and inspected before used on a job. Compatibility is essential. Not every piece of kit works with every other, and some, when used outside a manufacturers purpose can put a technician at risk. Constant testing saves lives. This can be done in-house, working with skilled dealers or getting kit tested independently. Back up devices and fall arrest equipment should also be checked and given testing often. Using Papertrail, equipment/operations managers can use RFID or barcode technology to associate each piece of equipment’s unique ID with a record of the equipment in the app – meaning you can create secure and fully auditable inspections in seconds. For work sites to comply with IRATA and SPRAT safety systems, a fully-qualified supervisor (level 3) is required for every rope access project. Ideally, if they supervise rather than write the access procedures, then a supervisor can spot any gaps in management systems, training, and any potential flaws or equipment failings. With rope access systems covered from every angle, each operation requires a job hazard analysis (JHA), including a rescue plan. A qualified supervisor should be able to confidently rescue a technician from a range of situations. Supervisors can then fine-tune the JHA and meet with all team members before any rope access jobs start, in part to ensure that other work won’t interfere with the technicians safety management. Providing these guidelines are followed, with management support, then clients across a wide range of industries have found that rope access is safer, more efficient and cost-effective than conventional access techniques. Need support with your rope access equipment inspections? Review your current PPE inspection management tools with our handy 5-step review workbook – and what’s more – it’s free!